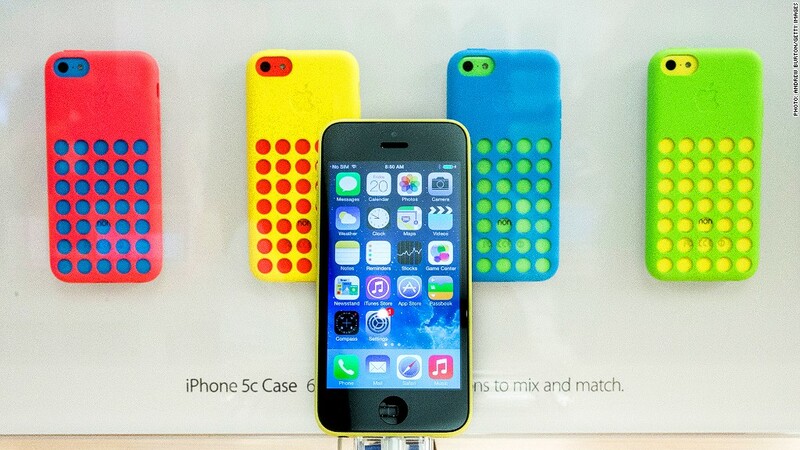 All five colors of the iPhone 5C were listed as available to ship in one to three business days. The gold 5S won't ship until next month. Poor iPhone 5C. The flagship iPhone 5S got most of the love from the Apple diehards Friday. 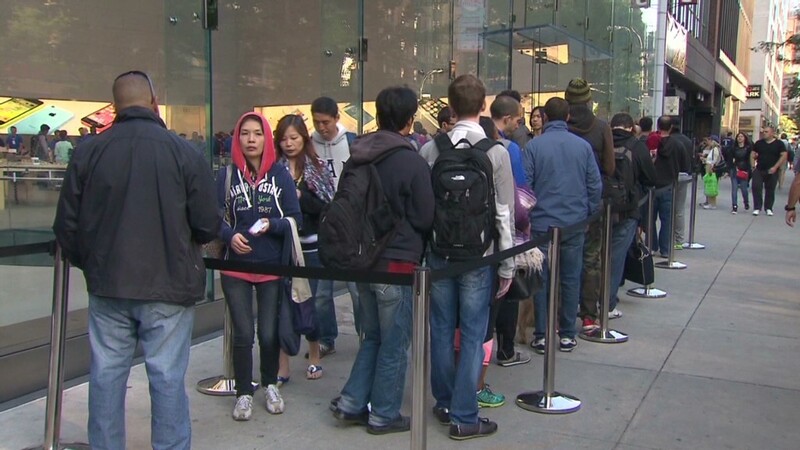 CNNMoney interviewed about 15 of the hundreds of people in line outside Apple's flagship New York store, and all of them were waiting for the glass-and-aluminum 5S, which cost $199 with a contract. None were there for the colorful plastic 5C, which sold for $99 with a contract. While the 5C was the only device available for pre-order a week early, the ability to pre-order hasn't stopped Apple fanatics from lining up in person for past devices like the iPhone 5. Fortune's Philip Elmer-DeWitt, who counted more than 1,200 people on line at the flagship store a few minutes before the door opened, reported that everyone he asked was also "there to buy the iPhone 5S." Some other customers waiting in lines around the world also dismissed the 5C. In London, 17-year-old student Waleed Tariq said "the 5C stands for 5 'cheap'. It's plastic and it looks cheap." This is obviously a small sample size. It also may not be surprising that people willing to camp out for a phone would opt for the high-end model. But if more consumers shun the 5C, that could be bad news for Apple. Many analysts had hoped that the less-expensive 5C could boost Apple's profit margins since the phone is also a lot cheaper to produce. And at first blush, it does look like demand for the 5C is weak, even from those who preferred to order new phones online instead of standing in line. On Apple's U..S. website Friday morning, all five colors of the iPhone 5C were listed as available to ship in one to three business days. The 5S was another story. The graphite and "space gray" models will ship in 7-10 days, while the new gold color isn't available until October. Apple didn't release early pre-order figures for the 5C as it has done in past years. That led to speculation that the early iPhone 5C figures are disappointing. Apple (AAPL) did not immediately reply to a request for comment on the iPhone 5C's performance so far. But Nicholas Cage, who lined up at the Apple Store in Atlanta's Lenox Square shopping mall at 3:30 a.m., planned to pick up two 5Cs: one in white, the other in yellow. "I got kids," he said simply. Still, he said he was also there to buy himself a gold 5S. - CNNMoney's Virginia Harrison contributed reporting from London, and CNN's Todd Leopold reported from Atlanta.